There is a popular Proverbs that says “Life and death is in the power of the tongue”. Our words are so powerful they can either create life or destroy it. As a child, growing up, I would hear people say, “Sticks and stones may break my bones, but talk don’t bother me”. How far this is from the truth! The reality is that bones can heal and mend with medical attention and time. Hurtful and destructive words spoken to people can permanently damage their soul. The tongue is a small member of the body, but is a very powerful force used to give life or to destroy it. Some may say, “Dot, but these are just words, I don’t really mean to destroy anyone!” Allow me to enlighten you. Words are a creative force. In the Bible, the writer states that God spoke the Universe into existence. “And God said let there be light and there was light”. We as humankind have in our DNA the same creative force, to speak words of encouragement, which bring light and life or to speak negative, hurtful words which creates gloom and doom and destructions. In my coaching and teaching professions, I have worked with many people both young and old, who have been victimized and wounded by hurtful and negative words spoken by others. The most tragic, is to hear parents, teachers and caretakers, speak to and about children in a demeaning manner. They say things like: “You are a bad boy”, “You are so dumb, you can never do anything right!”, “Why can’t you be like…. ?”, “You are not as smart as your sister”, “You are too fat”, “You are too skinny”, “You will never amount to anything!”, “You are just like your no-good Daddy”! Even if these negative words are not directly spoken to a person, they are set in motion to have a lasting negative effect on a person’s earthly existence. We must speak life! Of course, the destructive power of the tongue is just not relegated to the young; marriages are wrecked, business and professional organizations are ruined, and Nations are toppled. And the list goes on and on. The tongue has also been likened to a “burning fire”. A biblical reference quotes, “And the tongue is a fire! It can be compared to the sum total of wickednessand is the most dangerous part of our human body. It corrupts the entire body and is a hellish flame! It releases a fire that can burn throughout the course of human existence”. What a poignant but true description of the tongue’s ability to destroy human lives. As a small spark of fire left unquenched can destroy a great forest, the small tongue, uncontrolled can destroy many lives. The tongue must be directed to steer clear of harm. Just as the Captain can steer a large vessel to avoid danger in the open seas and ocean, we must make every effort to discipline our spoken words. My mother would say, “If you can’t say anything good about someone, say nothing!”. In others words, if you cannot say anything good and encouraging, shut your mouth! Good advice Mom, for all of us. 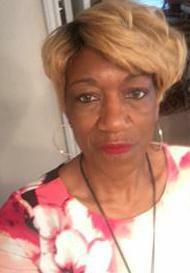 Dot High-Steed is a Life Coach and Public Speaker who has over 20 years of experience in health/wellness, business and education.